Thanks for Playing, Scott Dual Language Magnet Elementary School! 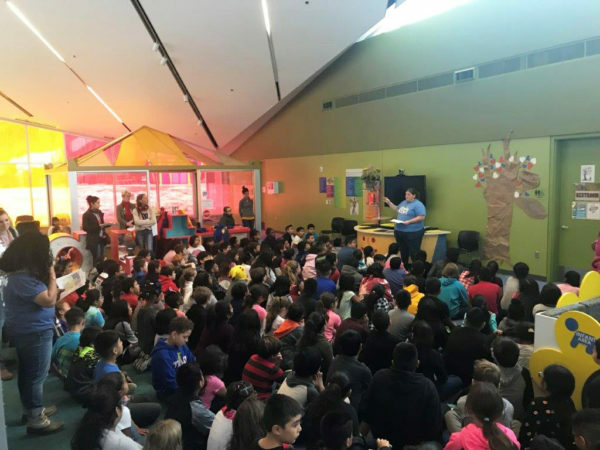 Home / Thanks for Playing, Scott Dual Language Magnet Elementary School! We had a blast this week hosting the third, fourth and fifth grade classes from Scott Dual Language Magnet Elementary School here in Topeka. Students rotated through different activities and had lots of time for free play. 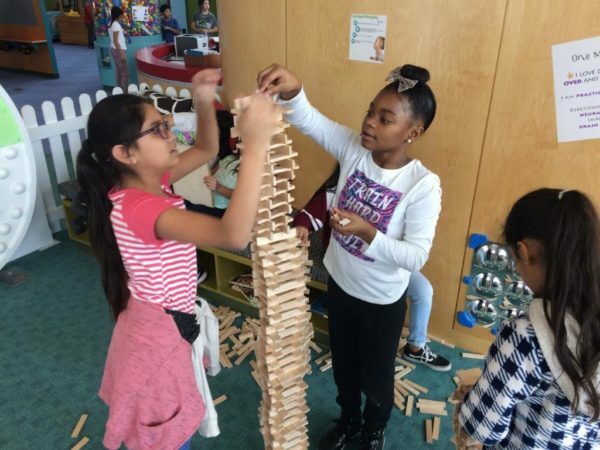 Students got to put their building skills to the test in a tallest tower contest. We had some impressive towers! They also learned about what it takes to engineer a structure to withstand force in Seismic Design: Shake, Rattle & Roll! 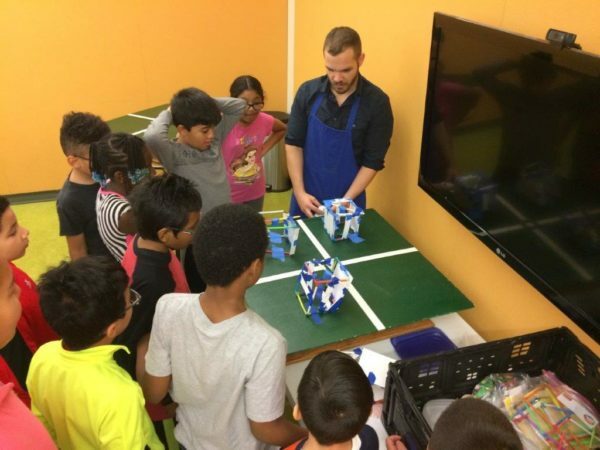 Student engineers learned about the engineering design process and tested different variables in their own structures to understand their importance in building earthquake-resistant structures. 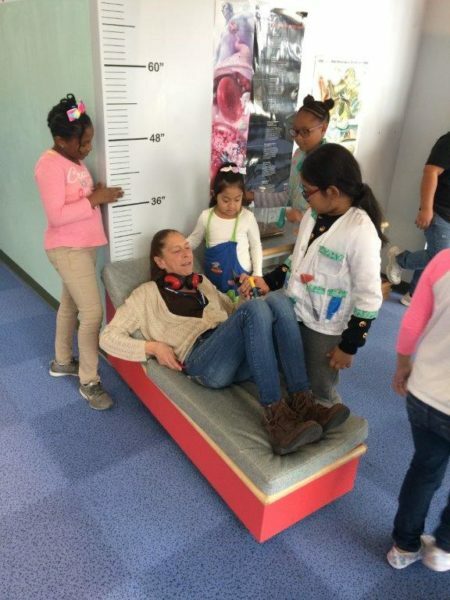 We find when given time to play in the museum, students find their own ways to learn. 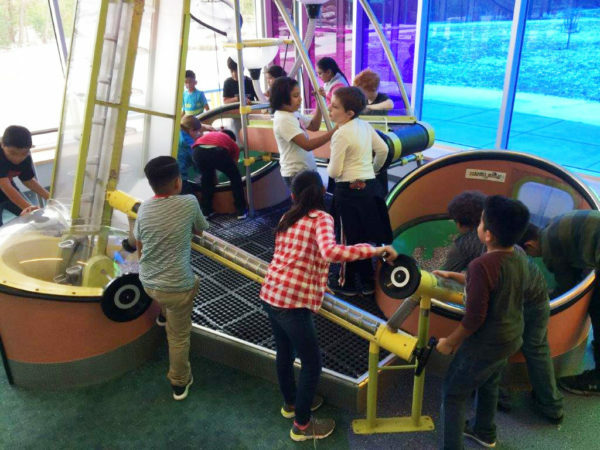 Check out the teamwork it takes to move grain through our farm exhibit using real augers, pulleys, and treadmills. 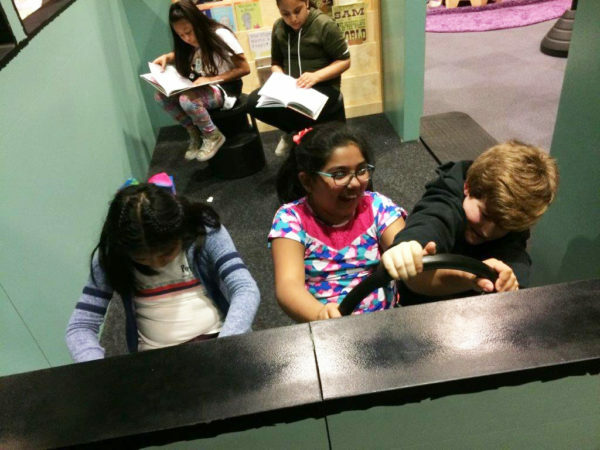 The students also got to experience our current traveling exhibit, The Pigeon Comes to Topeka! A Mo Willems Exhibit! Everyone played so much, they had to take their teacher to the pretend hospital at the end of the afternoon. Thanks for Playing, Scott Dual Language Magnet Elementary School! We hope to have you come back, soon. 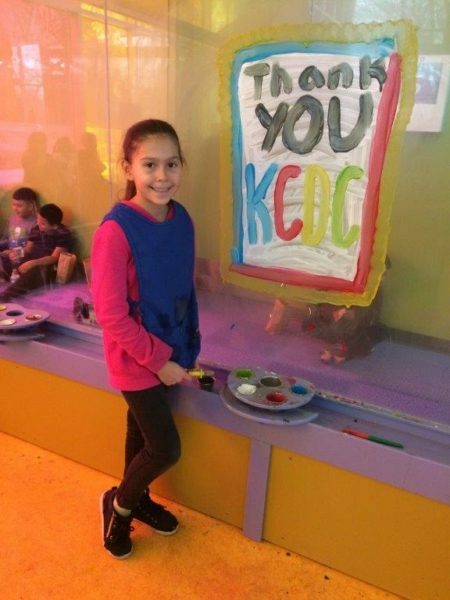 The Kansas Children's Discovery Center offers field trip experiences for all ages. Visit https://kansasdiscovery.org/educators/field-trips/ to book your date.